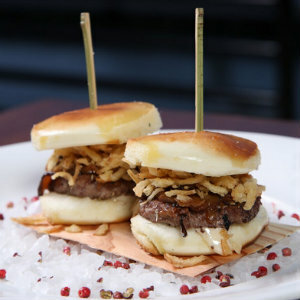 Nobu Newport Beach at Lido Marina Village just added exciting lunch time dining specials and happy hour offerings. Why wait for the weekend? 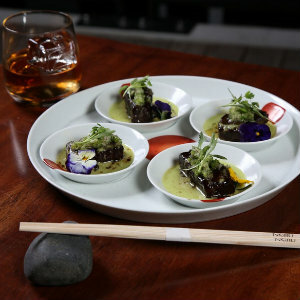 Indulge in an exclusive new Wagyu menu at Nobu Newport Beach along with Japanese Whisky Cocktails & Specials by the Glass as a live DJ spins you into the better half of the week. Wagyu Tataki Yuzu Chimichurri, Wagyu Tataki Wasabi Aioli & Wagyu Nigiri are just some of the delectable new dishes on the new menu. Plus, enjoy $8 Japanese Whisky Sours or Japanese Blood Orange Old Fashioned and $10 Japanese Whisky by the glass (Suntory, Nikka, Kaiyo & Iwai). Available Wednesdays 6:30 p.m. in close in the bar & lounge. 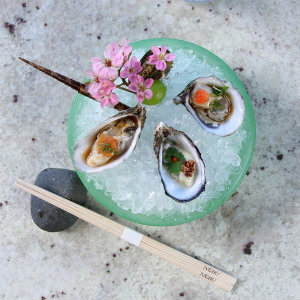 Happiness awaits at Nobu’s new Tanoshi Hour (Japanese for Happy Hour). Snacks including Crispy Umami Chicken Wings, signature Takumi Burger, Salmon Dry Miso, Salt & Pepper Squid and assorted sushi rolls ($8-10) can be paired with cocktails including the Nobu Side Car or Mia Margarita as well as a full selection of beer, wine and sake (Cocktails at $12; Wine & Sake $7-10; Draft Beer $5-7). Served Monday-Thursday 3:30-6:30 p.m. in the Bar. Upstairs dining: open 5:30 to 10 p.m. Sunday to Thursday; 5:30 to 11 p.m. Friday and Saturday; noon to 2:3o p.m.
Downstairs Bar & Lounge: open noon to midnight Monday to Friday; full bar and limited lunch menu Monday to Friday; noon to midnight Saturday and Sunday. Nobu Newport Beach is at 3450 Via Oporto Suite 101, Newport Beach. 949.429.4440.